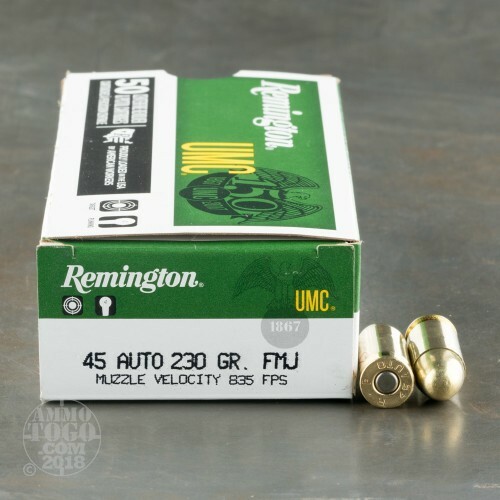 This is 45 ACP Remington UMC 230 grain full metal jacket ammo. 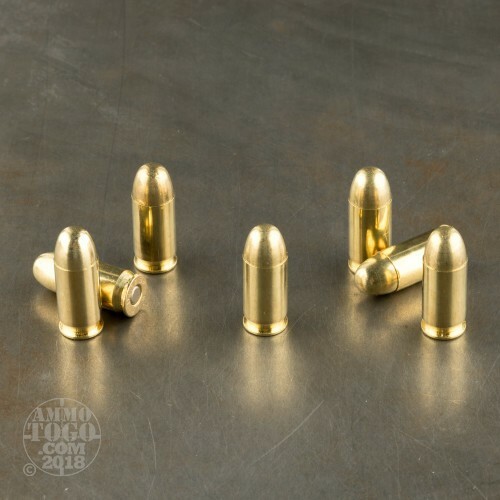 These rounds are brass cased, boxer primed and non-corrosive. It is great plinking ammo and the cases are a good choice for reloading if you're the type of shooter who takes his brass home with him (or her). 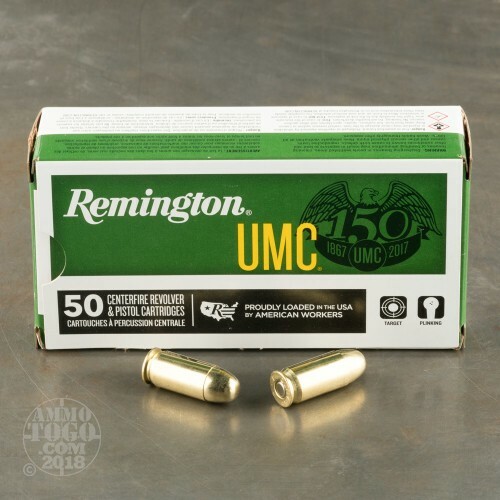 This bulk 45 ACP ammo comes packed in 50 round boxes and you'll get 10 of them in the case for a total of 500 rounds. 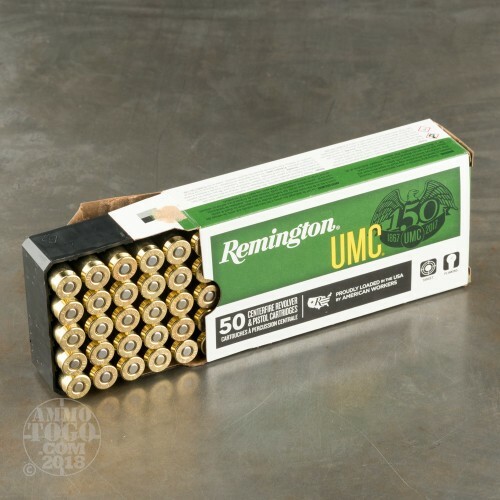 Never had any issues with this ammo...none.